All Pre-Education students interested in becoming teachers must formally apply for admission to the Educator Preparation Program; admission is selective. The following requirements must be met prior to submitting an application for admission to educator preparation. Admission is a two-step process detailed below. Completion of ENGL 1150, ENGL 1160, CMST 1110, or CMST 2120, and MATH 1120 or 1220, (or placement beyond Math 1120 or 1220 or with Math ACT score of 23 or higher, TED 2100 and TED 2200. Note: Students may apply for admission in the semester in which they take TED 2100 or TED 2200. General education courses must be completed with a grade of C- or better and all education courses must be completed with a grade of C or better before acceptance into educator preparation will be official. Currently enrolled UNO students must have a minimum cumulative GPA of 2.5. Transfer students with 12 or more credit hours in the Nebraska System (UNL, UNK, UNO) must have a minimum cumulative GPA of 2.5 for all attempted coursework taken in the NU System. Transfer students with credit hours from institutions other than the NU System must have a minimum combined cumulative GPA of 2.5 for all attempted coursework. 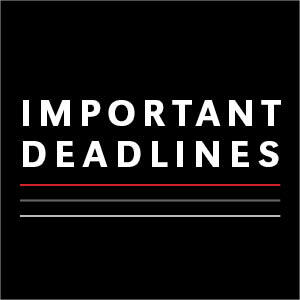 Grades must be posted before packet is submitted: fall semester grades for March 1 deadline, spring semester grades for June 1 deadline, and summer semester grades for October 1 deadline. Recommended, but not required. Pass the Praxis CORE Academic Skills for Education test within your first year at UNO. You MUST pass the test before formal admission to the program. Passing CORE scores are Reading 156, Writing 162, and Mathematics 150. If you took the PRAXIS PPST test prior to the transition to CORE, 173 is the minimum passing scores for all sections. Transfer students with 12 or more credit hours in the Nebraska System (UNL, UNK, UNO) must have a minimum cumulative GPA of 2.75 for all attempted coursework taken in the NU System. Transfer students with credit hours from institutions other than the NU System must have a minimum combined cumulative GPA of 2.75 for all attempted coursework. Completion of TED 2300 and TED 2400 with a grade of C or higher. Students who do not pass TED 2300 or TED 2400 with a grade of C or higher and the PRAXIS CORE test will not be permitted to continue in the Educator Preparation Program course sequence until these requirements are met. ** Official scores must be on file in the College of Education Office of Academic Advising and Field Experience. Please note: If the deadline falls on a weekend, applications are due the preceding Friday. All application materials must be submitted together as a packet. All forms and information needed to prepare the application packet are available by clicking on the links below. Please Note: Follow the directions on the Application Checklist. The completed application packet must be submitted by the indicated deadline to the Office of Academic Advising and Field Experiences in RH 204. An incomplete packet will be returned to the student. It is recommended the student retain a copy of the packet. Please note: Follow the directions on the Application Checklist. The completed application packet must be submitted by the indicated deadline. An incomplete packet will be returned to the student. It is recommended the student also retain a copy of the packet. To obtain a copy of your UNO Unofficial Transcript, login to Mavlink. Under the Academics Tab on the left, click “Unofficial Transcript.” Select Unofficial Transcript from the Transcript Type drop-down menu. Click on View Report (pop-ups must be disabled). Note: If coursework from another institution is not displayed, submit an unofficial transcript from that institution. You must contact previous institution(s) to request official transcrript(s) to be sent to UNO Registrar's Office. BACKGROUND CHECK: All students accepted into the Educator Preparation Program are required to do a background check with the vendor selected by UNO. The instructions for completing the background check are provided to the students when they are accepted into the program. The cost of the background check is $33.17.